President Donald Trump is attacking Senate Democrats who questioned the integrity of his Supreme Court nominee. Trump, at a rally in Tennessee on Monday, declared the Democrats were trying to slow down the FBI probe into allegations of sexual misconduct against Judge Brett Kavanaugh. He says the Democrats are undermining Kavanaugh’s credibility and are “willing to do anything or hurt anyone” to submarine his agenda. Kavanaugh has denied claims from multiple women, including one who testified that he pinned her against a bed, groped her and tried to take her clothes off when they were in high school. He singled out a number of rumored 2020 presidential opponents for criticism, including Sens. Cory Booker of New Jersey, Elizabeth Warren of Massachusetts and former Vice President Joe Biden. President Donald Trump is back in Tennessee, trying to push U.S. Rep. Marsha Blackburn’s Senate bid over the finish line. Trump is headlining a closed-door fundraiser for Blackburn in Johnson City before he appears at a packed rally at the Freedom Hall Civic Center. Couples have paid $10,000 to attend and take a photo with Trump, and $25,000 to participate in a round table with the president, according to the invitation. Blackburn is in a tight race against the state’s Democratic ex-Gov. Phil Bredesen to replace retiring Republican Sen. Bob Corker. It’s among several races expected to determine control of the Senate, where Republicans are desperate to defend a narrow two-seat majority in the face of surging Democratic enthusiasm. President Donald Trump is heading back to Tennessee to try to push U.S. Rep. Marsha Blackburn’s Senate bid over the finish line. Trump will be headlining a fundraiser and hosting a rally in Johnson City for Blackburn, who is in a tight race against Democratic ex-Gov. Phil Bredesen (BRED’-uh-sen) for the seat being vacated by retiring Republican Sen. Bob Corker. According to the invitation, the high-dollar fundraiser will cost couples $10,000 to $25,000. The rally comes as the FBI continues to investigate sexual misconduct allegations leveled against Brett Kavanaugh, Trump’s Supreme Court nominee. 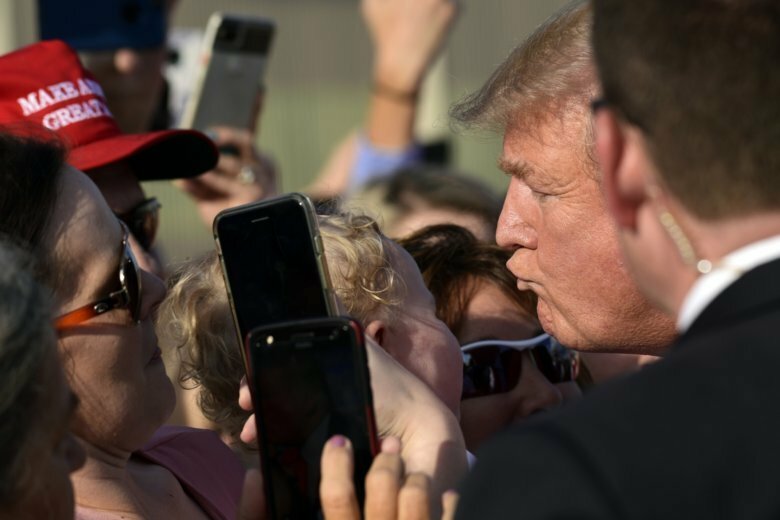 Trump is planning a busy week of campaign travel, with trips to a handful of states including Mississippi, Minnesota and Kansas as he tries to boost Republican turnout for the midterm elections.